JAMB postpones sale of 2018 application forms indefinitely – Royal Times of Nigeria. 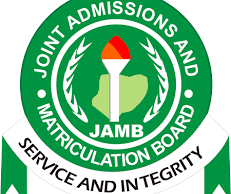 The Joint Admissions and Matriculation Board, (JAMB) on Tuesday, said it has postponed the sale of its 2018 application forms for intending candidates. The Board disclosed this in a statement, signed by its Head of Media, Fabian Benjamin in Abuja. According Benjamin the sale of the application documents, which was scheduled to start on November 22, 2017 suffered delay due to the publishers’ inability to print the 1.8 million copies of the forms before the deadline. Benjamin said,“This postponement was due to the delay in meeting agreed deadline by the publisher of the Compulsory Reading Text meant for prospective candidates for the 2018 UTME. The publisher had promised to deliver all the texts for the 2018 candidates on or before November 7 but as at close of work today, the publisher has not provided the 1.8m copies required. This development has painfully, forced the Board to shift the date from Wednesday, November 22 to a date to be announced soon”. He went on to say the Board would work round the clock to ensure a new date is announced soon while urging intending applicants to visit the board’s website and familiarise themselves with the application procedures.